Reg Wilson, one of the earliest British collectors, lived near the great dock city of Liverpool, where the ships discharged many a motorcar returning after duties abroad. 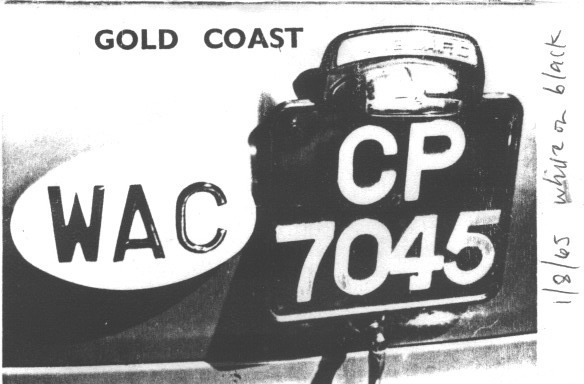 This Gold Coast (West Africa-Coast) (? 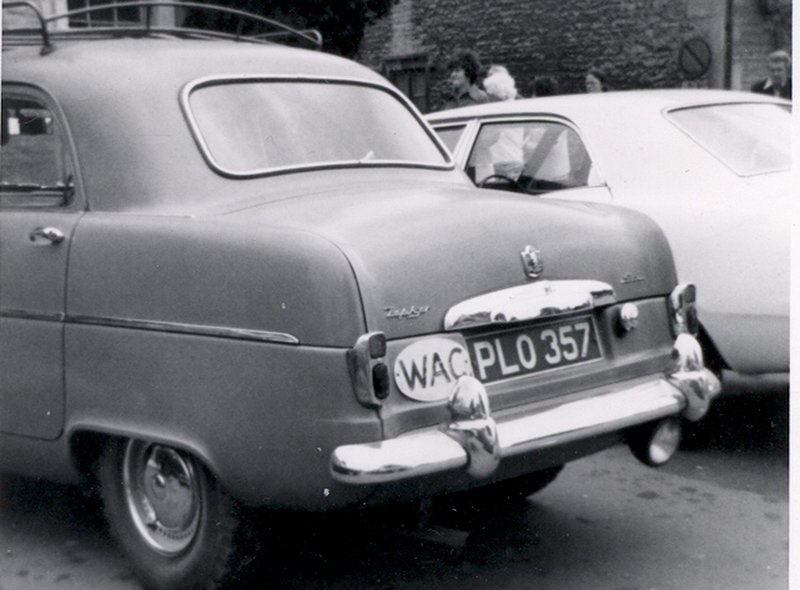 Standard Vanguard was photographed by Reg on 1st. August 1965. 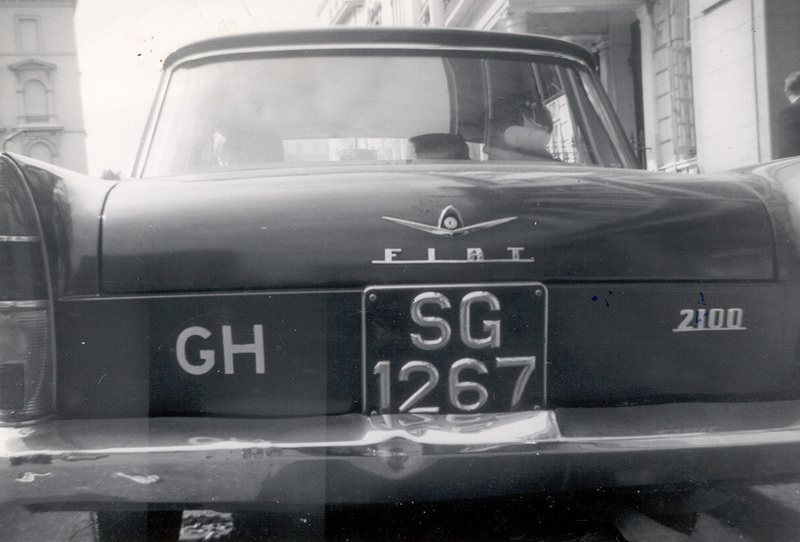 Below is a Ford Zephyr Six, made in 1955, seen in London years later, registered on the 1955-6 special (tax-free) Home Delivery Export Scheme plates PLO 357 with which it was originally delivered in Britain, prior to being shipped out to the Gold Coast. 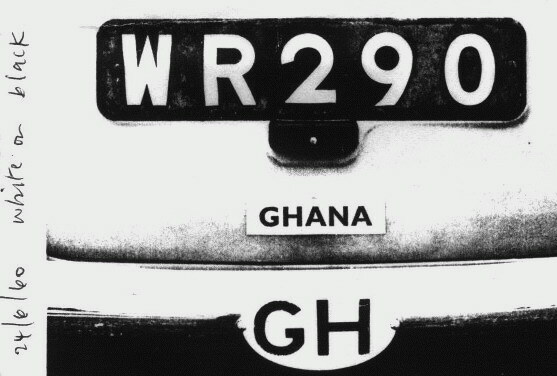 After its period of use there, and returning to UK, it changed its African plates back to its original British export plates, but happily, left the rare WAC international oval (used 1932-57) firmly bolted to the body, for our delectation. Below: AR-1274 is a 1940 issue from Accra, photographed at the Barcelona Placamundi conference members’ displays. 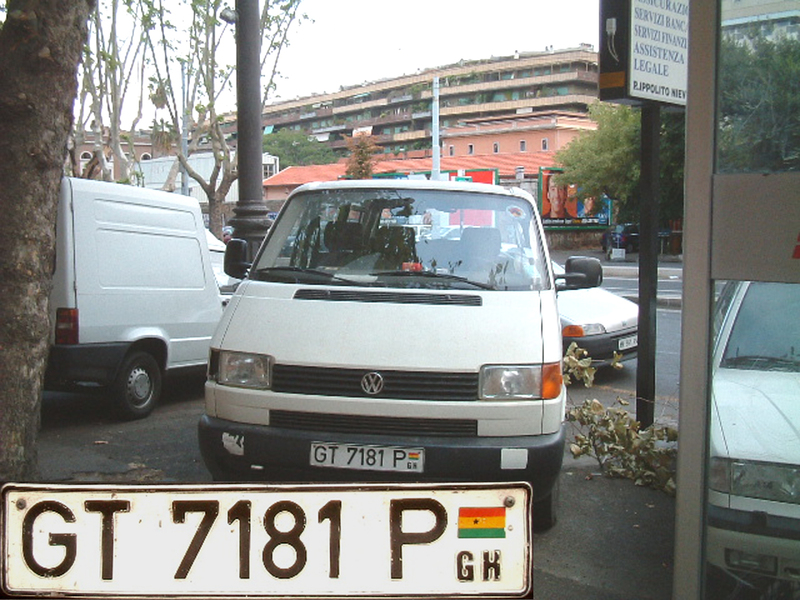 GT = Greater Accra (Tema) and the P is for 1998 first registration.